As part of ISTA’s annual protocol review, the Testing Council is seeking your feedback, through a brief survey, on procedures 3A (2018) and 3E (2017). BRIEF SURVEY: We kindly ask that you take a moment to provide feedback at the following survey link: click here. The information will be reviewed and discussed by the Testing Council during their Spring meeting at the ISTA Forum to deem if any action is required. Should you have any questions, please contact Eric Hiser at ehiser@ista.org Your participation and feedback are appreciated! The city of Amsterdam (The Netherlands) will host the seventh edition of the ISTA European Packaging Symposium from March 5-7 at the Amsterdam Marriott Hotel. The symposium is organised jointly by ISTA and supported by ITENE (Research Centre of Packaging, Transport and Logistics) and NVC (Netherlands Packaging Centre). Register today and join us in Amsterdam for this important event! The Symposium will analyse the impact of industry 4.0 in this sector. Under the title "Industry 4.0: Packaging Innovation and Impacts in a Changing World", information will be provided on the changes that may affect transportation packaging due to the deep transformations that are taking place in the market, driven by the advances in automation, cyber-physical systems, artificial intelligence, the Internet of things (IoT), 3D printing and rising concerns for e-commerce and sustainability. The presentations will offer a practical overview of the economic and environmental aspects of optimising the development of packaging for transport, and the latest techniques for testing packaged products to assess the suitability for its distribution. Presentations will be offered by representatives from AMAZON, FRAUNHOFER IML, HP, IBM, IKEA, INTEL CORPORATION, ISTA, ITENE, METROPACK, NVC NETHERLANDS PACKAGING CENTRE, SAFE LOAD TESTING LABORATORIES, SEALED AIR, SMURFIT KAPPA, and VIBRATION RESEARCH. The symposium aims to bring together around 100 professionals, including directors, managers and technicians of logistics, packaging, production, purchasing, R & D, product design and development of companies in the packaging, transport, logistics and storage sectors, large distribution, consumer goods, electronics, capital goods, testing laboratories and test equipment, among others. Register! ISTA’s 2019 European Packaging Symposium is sponsored by Smurfit Kappa, THP Systems, Safe Load Testing Technologies, Sealed Air, Vibration Research and Packaging Europe. 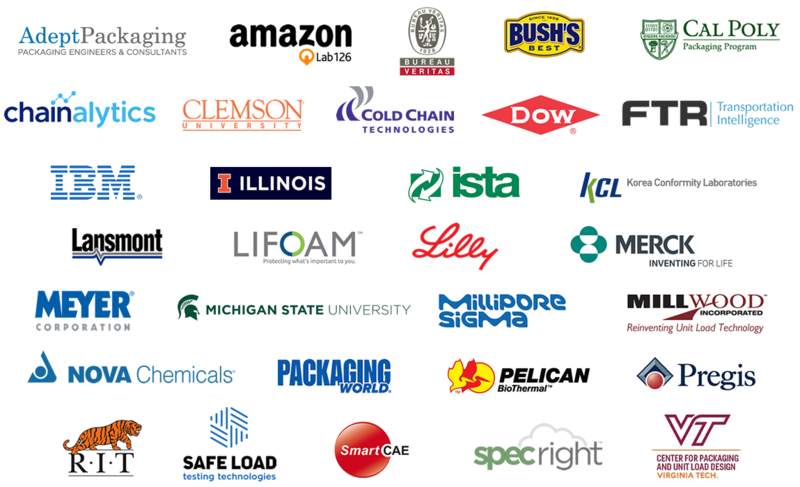 Leading experts sharing innovative solutions and best practices for packaging optimization, e-commerce, freight trends, thermal packaging systems, emerging markets, and more! We are pleased to announce the ISTA Forum Program is now available! The ISTA Forum brings together the packaging community through two co-located events, TransPack and TempPack. The program is packed with case studies, research, and innovations exploring themes of optimization of packaging for transport and temperature-controlled performance packaging. Join us May 13-16 in Denver, Colorado at the beautiful Gaylord Rockies Resort & Convention Center! Register today! The ISTA Forum registration includes attendance at both co-located events, TransPack and TempPack. The events are uniquely designed to offer attendees the flexibility to learn from either program while offering the opportunity to network together during the shared ISTA Forum meals, breaks and receptions. Register! Pre-Forum training & certification opportunities! Get a strong start at the ISTA Forum by participating in pre-forum CPLP and RPbD training and certification opportunities! You'll walk away with in-depth knowledge and new skills and return to your company with the confidence to do more, achieve more, and be more. Get in Touch! ISTA’s InTouch Online Community is a new place for ISTA members to connect, ask questions, contribute comments, exchange ideas and experiences, and learn from each other. Log in today and get the conversation started! Be sure to "Opt-In" to the various boards so you receive emails when new topics or responses are posted within the boards. Choose “Daily Digest” if you’d prefer a daily summary of the board activity. ISTA has received a request for the creation of a test method(s). ISTA has received a request for maintenance to test method ISTA 3H. ISTA has extended the submittal date for RFP-0006 Single Parcel Shipping Environment Research Project. ISTA is happy to announce the following new members have joined our community the months of December and January! Reserve ad space in ISTA's InTouch E-Newsletter and in the 2019 Resource Book.